Virat Kohli is an Indian cricket player. He currently as the captain of Indian cricket team. He is the world best batsman in the world. He is cricket average is fantastic. He is the best batsman of ODI cricket. He is Nickname is Chiku. 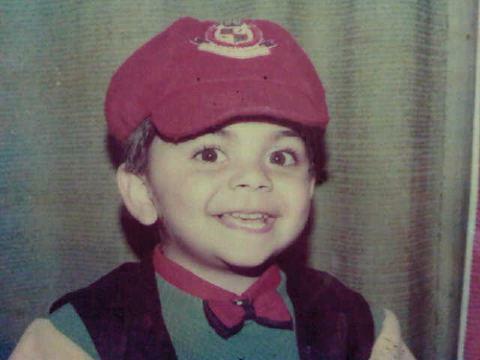 Virat Kohli was born on 5 November 1988 in Delhi India. His father, Prem Kohli, is a criminal lawyer and his mother, Saroj Kohli, is a housewife. He is the younger one of his family. He has an older brother, Vikash, and an older sister, Bhavna. At the early age of Virat his known about her increasing about cricket. And his father tries to always encourage Virat to play cricket. Virat Kohli went his schooling at Vishal Bharti Public School In 1998, and join the West Delhi cricket academy. He debuts in the first-class career in cricket in 2006. He captained India Under-19s to victory at 2018 under -19 world cup Malaysia, and a few months later, made his ODI debut for India against Sri Lanka at the age of 19. Then he opportunities to play in Indian cricket team. He established them to the regular middle-order batsman. He also in the square of 2011 world cup. He got married Anushka Sharma in 2018. He has the only cricketer in India score the fastest century in ODIs (52 balls). He has the player reached 9,000 runs in ODIs in the least no of the match. He has the player reached 35 centuries in ODIs in the least no of the match. He has the player reached 1,000 runs in T20Is in the least no of the match. He has reached 15,000 international runs in the least no of the match. He has the only player in the world average more than 50 in all formats of cricket. He has the only captain of India to score a double century overseas. He has first test captain to score centuries in each game of a three-match Test series. He has the only captain to score 3000 ODI runs. He has the only batsman complete fastest 10,000 runs. He has awarded ICC player of the year in 2012. He has awarded Arjun Award for cricket in2013. People choice awards for India favourite sports person. 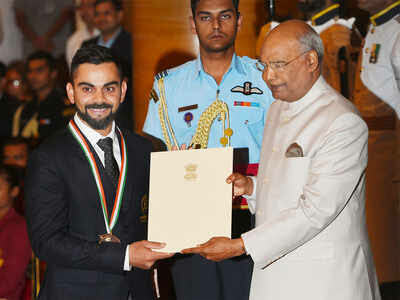 He was awarded Rajiv Gandhi Khel Ratna award in 25 the September 2018.